WNSF is pleased to partner with Sustainalytics. Sustainalytics is a leading global provider of environmental, social and governance (ESG) research and analysis, with nearly 20 years of experience in the Responsible Investment (RI) and Socially Responsible Investment (SRI) markets. Presidio Graduate School is excited to launch its distinctive Executive Certificate Program in Sustainable Management in Boston this spring. For more information, visit www.presidioedu.org, email certificate@presidioedu.org or call Carl Schneebeck at (415) 655-8956. WNSF is pleased to partner with The Solutions Journalfor the upcoming“International Women’s Rights” issue of Solutions. This special issue features contributions from renowned intellectuals, activists lawyers and grassroots leaders including: Council of Foreign relations fellow Dr. Isobel Coleman, Cambodian activist Mu Sochua, Iraqi environmental minister Mishkat Moumin, Irish political leader Monica McWilliams, Nobel Prize winner Wangari Maathai, top UN police commander Ann Marie Orler, and Swedish anti-trafficking detective Kahja Walberg, among others. Solutions will publish and promote this issue in partnership with The Institute For Inclusive Security. 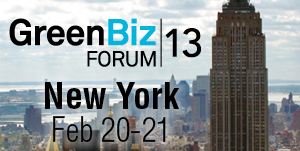 WNSF is pleased to partner again with the Wall Street Green Summit. 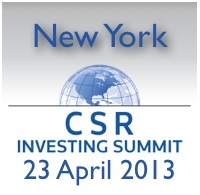 The Wall Street Green Summit is the longest running and most comprehensive environmental market event in the industry. 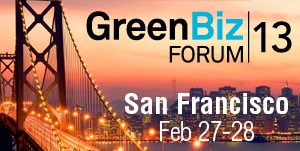 Launched in 2002 by Peter Fusaro, The Wall Street Green Summit covers cutting edge content, industry developments and features the practitioners and the leaders of tomorrow. Hear it here first!